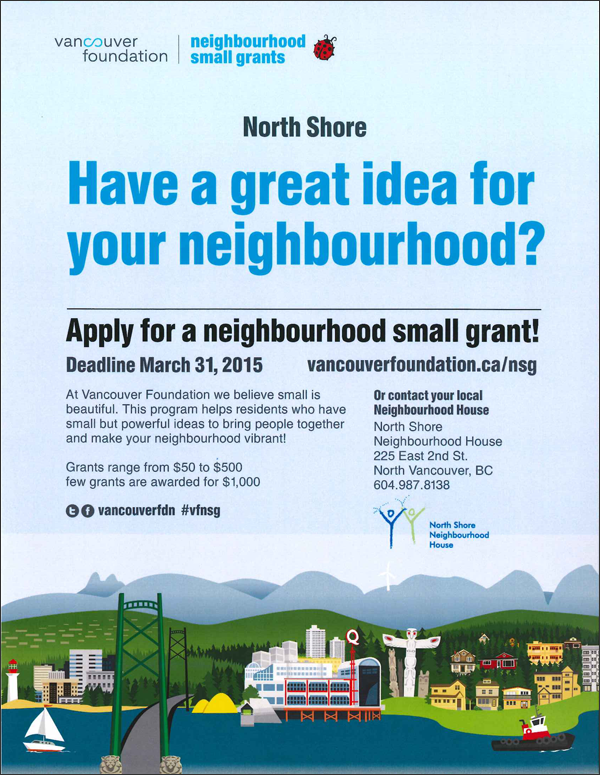 The application for Vancouver Foundation's Neighbourhood Small Grant Program is now open! I love NSG! I've received a grant the past two years that covers the cost of supplies for my North Vancouver City Library Crafternoons. Super kewl! The Neighbourhood Small Grant Program is all about helping build connection and engagement in your community. Upcycling workshops fit the bill! Have a great idea for your neighbourhood? Apply for a grant!